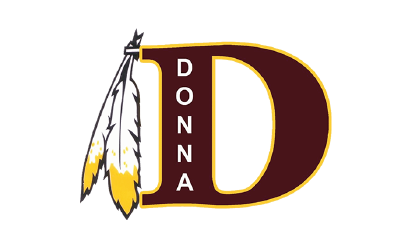 DONNA — A forensic audit of the Donna Independent School District reveals continual issues of concern including mismanagement of funds, lack of appropriate teacher certification and errors committed by at least three current employees and one who was recently terminated. The company Weaver and Tidwell LLP was hired by the district at the beginning of the year to conduct the audit, which included employee interviews, review of administrative procedures, environment overview and district culture. This is the first step in working to address these issues, said board President Efren Ceniceros. The board expects to receive a plan of action for all of the areas addressed by the audit. Issues with the qualifications of several employees to hold their current positions were revealed, including Superintendent Fernando Castillo’s appointees Chief Financial Officer Maricela Valdez and Assistant Superintendent of Human Resources Jose Villanueva. Both employees were named to their positions by Castillo and while they had expertise in other areas, they lack important qualifications to perform these particular roles correctly, the audit sates. They were also given raises as their titles with the district changed. Valdez received a bump up of $20,036.68 taking her annual salary to $100,793.42, while Villanueva received an $8,146.15 raise taking him to an annual salary of $100,520.65. The audit focuses heavily on Valdez, who was placed in the CFO position on July 1, 2015, and has been on paid administrative leave since January 20, 2017. Some of the issues uncovered by the audit include Valdez receiving an email request from her husband Daniel Valdez to speed up a shirt order from CB Sportswear. Her email response stated she would place an emergency purchase order which was later approved. This is concerning, the audit states, for several reasons including her husband’s involvement, the fact that the purchase did not constitute a true emergency and that the company CB Sportswear is owned by the father of former Donna ISD Human Resources Supervisor Adolfo Campos Jr., who was recently terminated. In the case of Villanueva, who was appointed to the position of assistant superintendent of human resources by Castillo on July 29, 2015, and continues to hold the position, there was also lack of previous experience in the area of human resources. “Absent previous experience in human resources Villanueva did not have the skills, experience and training necessary to fulfill the essential duties and responsibilities listed on the job description,” the audit states. Superintendent Castillo refused requests for comment, stating through the district spokesperson Sandra Quintanilla that he would not comment on the audit due to it involving personnel matters. But other issues were also brought up through the audit including the need to update job descriptions to match current positions and skills required for these, misuse of state funds and the need to continuously update and verify teacher certification. In the area of funds, the audit states that in the areas of bilingual education, gifted and talented and career and technology, state funds that are meant to be restricted to allowable uses were misused. Restricted funds were misused to pay for the salary of Director of Bilingual Education during the school years of 2014-15 and 2015-16, as well as to cover about $26,000 in reimbursements for teachers seeking a master’s degree. Teacher certifications was an area of specific concern within the audit as they randomly selected groups of 20 teachers to audit for the last three school years in the areas of bilingual education. The audit uncovered that most certificates for bilingual educators were missing from district files and most teachers had expired certifications. For the school year 2014-15, no certification was kept on file for 12 out of the 20 students and five had expired certifications. The following school year, 2015-16, showed 14 certifications missing and four expired, while the most recent year, 2016-17, showed only one missing from file but 12 out of 20 expired certifications. All issues can technically be traced back to one or more employees, but there are structural issues that the superintendent still refused to comment on and that the board is expecting to see addressed.